Copper Mountain Ski Resort in the summertime? Yes, please. I still have the Copper Mountain t-shirt that my husband brought home to me. I was six months pregnant with our now 10 year old son and my husband went on a boy’s ski trip weekend. They loved Copper Mountain and we have since visited it a couple of times in the winter time. We have driven past it in the summertime but decided to take the time to visit this summer when Copper Mountain invited us up to try out their Summer Activity Passes. Included in the pass was access to three bungee, one zip line and one go-kart session, unlimited access to mini golf, bike haul, diggler (scooters), scenic chair, lake activities and the climbing wall. We arrived around ten in the morning and easily found parking. After we parked, we stopped by guest services to pick up our tickets, courtesy of Copper Mountain. You can purchase individual tickets but by the time you add them up, it will most likely make sense to buy the adventure pass. We wandered from activity to activity having a blast. We were lucky to be there during the week so while there were crowds, we did not find ourselves waiting in line for more than a minute or two. Our first activity was the bungee jump. The guys working the bungee jump were by far the most friendly group we encountered. They made sure that the kids enjoyed their time and also helped them to conquer some of their fears about jumping higher or trying to do a flip. After the bungee jump, the kids spent awhile soaking each other on the bumper boats. They also raced around the go-kart track, and zipped across the lake. They were able to get a couple holes in at the putt-putt course but the sky turned black quickly and the rain started pouring. At this point, we decided to call it a day, but we could have easily stayed for a couple more hours. We will definitely be back. Do adults need a ticket? Yes, and no. The only thing that my husband did was ride the go-karts. Even then, the only reason he did that was because my daughter was too small to go by herself. Check the height requirements and decide if you are going to need a ticket to participate. If we went back, we would definitely save some money by not purchasing tickets for the adults. But I want to ride the lift up to the top. Copper offers free lift tickets for each $12 spent in the village. Grab a snack and then use the receipt to get up to the top to see the views. Plan to arrive right when the activities open. Storms are common in the mountains. If they see lightning, activities will shut down until 30 minutes after that last seen strike. If it is raining hard enough, many of the activities shut down with or without lightning. 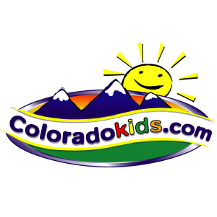 *Thank you to Copper Mountain for providing us with Summer Activity Passes. All opinions are mine. Make a pit stop in Copper Mountain for their summer activities including their new coaster! Summer Fun at Copper Mountain!